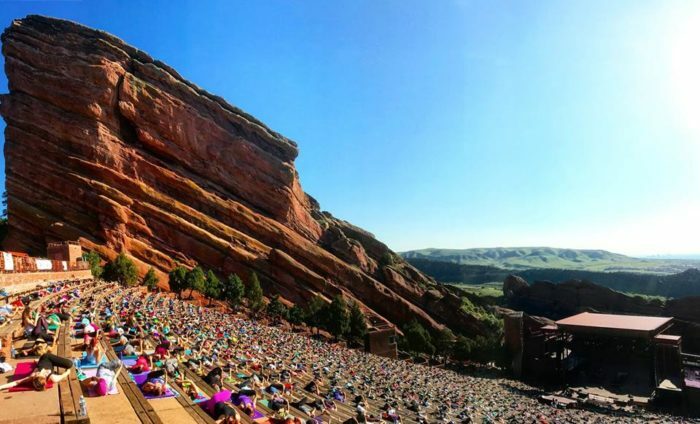 Just a short 15 miles from Denver, you can personally experience the majestic setting of an open-air amphitheatre that had Mother Nature as its architect. 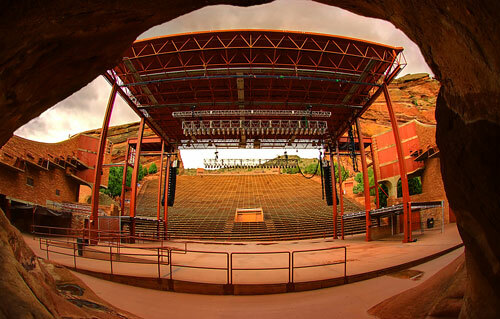 Everyone from the Beatles, to Opera stars, to U2 have graced the stage of Red Rocks, the only naturally occurring and acoustically perfect amphitheatre in the entire world. 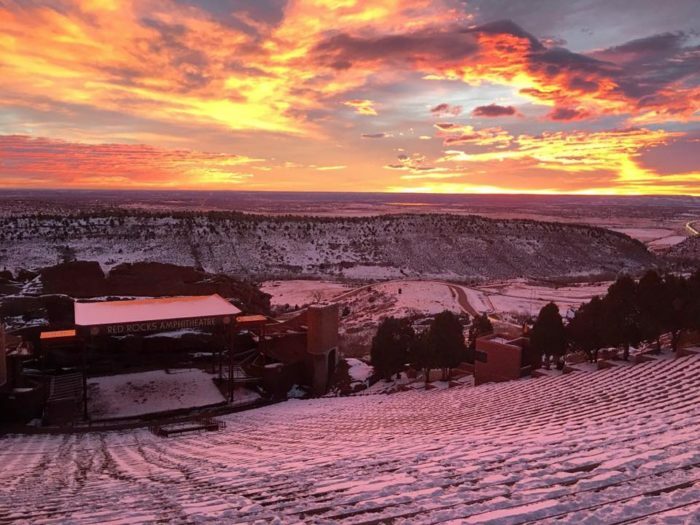 Red Rocks Amphitheatre opened to the public in 1941 with a 9,525 seat capacity and has since been home to droves of concert-goers, sight-seers, and exercisers who long for a glimpse of the breathtaking beauty that this venue encompasses. 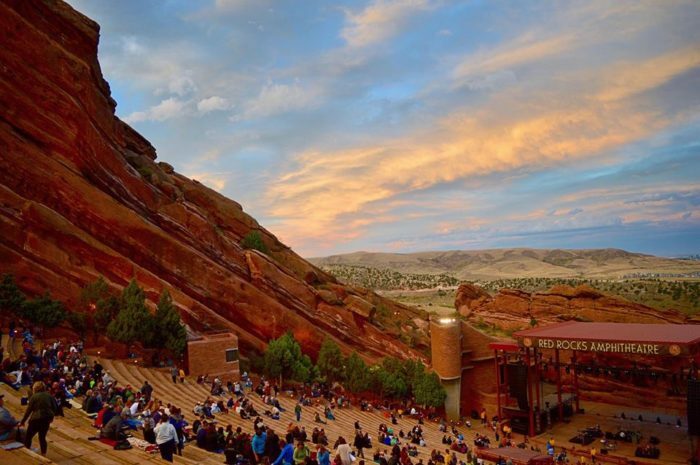 The 10 photos below prove that this stunning amphitheatre is truly one-of-a-kind. 1. 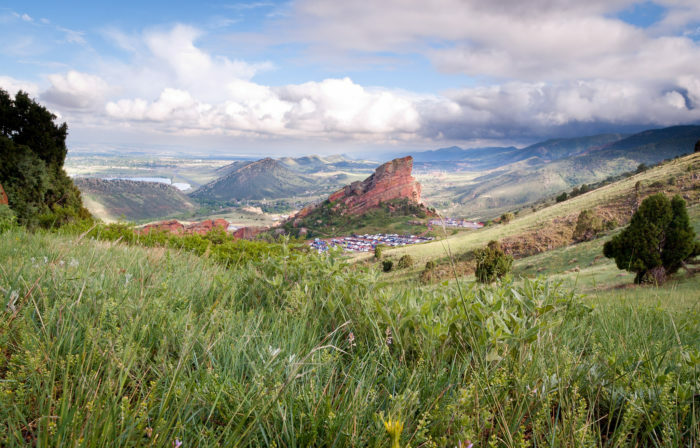 Even from the trails off in the distance, the view of Red Rocks Amphitheatre beckons you with its beauty to come for a visit. 2. 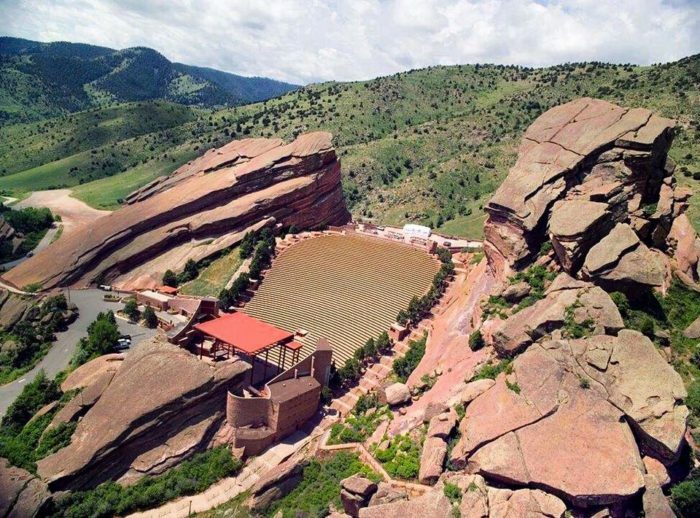 The view from above allows you to take in just how massive and gorgeous this geological phenomenon really is. 3. 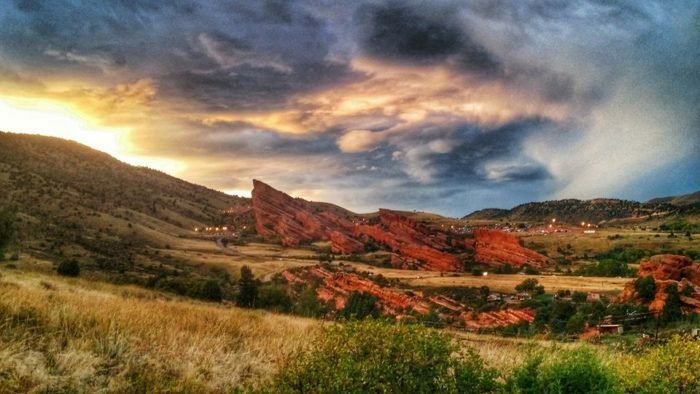 Catching a sunset at Red Rocks explains why this area was originally called, "Garden of the Angels." 4. 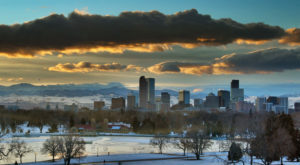 Taking in the panoramic view of Denver from this scenic overlook is simply heavenly. 5. 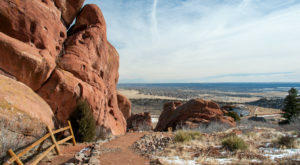 No matter the season, after visiting the spectacular surroundings at Red Rocks, you will not leave disappointed. 6. 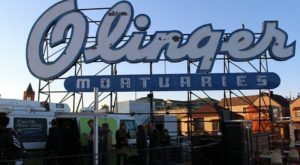 There's nothing quite like a concert experience at this acoustically perfect amphithteatre after the sun goes down. 7. Can you even imagine what it would be like to look out at the crowd from this stage? 8. It's not just for concert-goers. 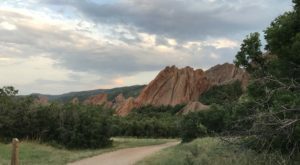 Those looking for unbeatable scenery while they exercise flock to Red Rocks for yoga, or to run the stairs. 9. 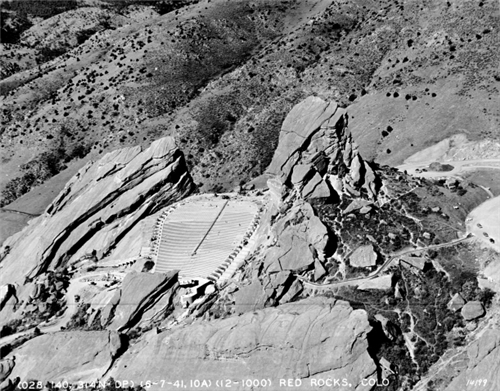 This photo from 1944, shows how Red Rocks has always been stunning. 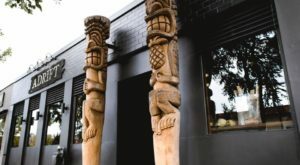 In 2015, it was named a Historic Landmark. 10. 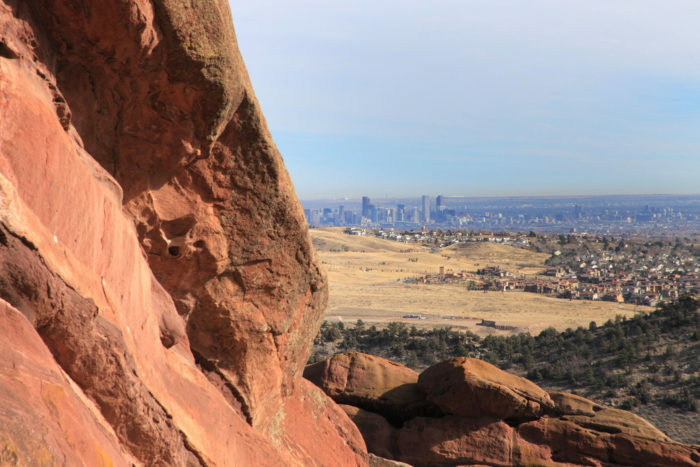 No matter your vantage point, Red Rocks is truly a thing of beauty that shouldn't be taken for granted here in the Denver area. 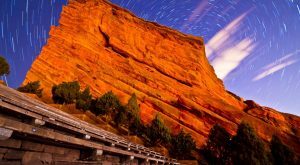 Come experience this magical setting in person.You can find Red Rocks Amphitheatre at 18300 W. Alameda Pkwy in Morrison, CO 80465. 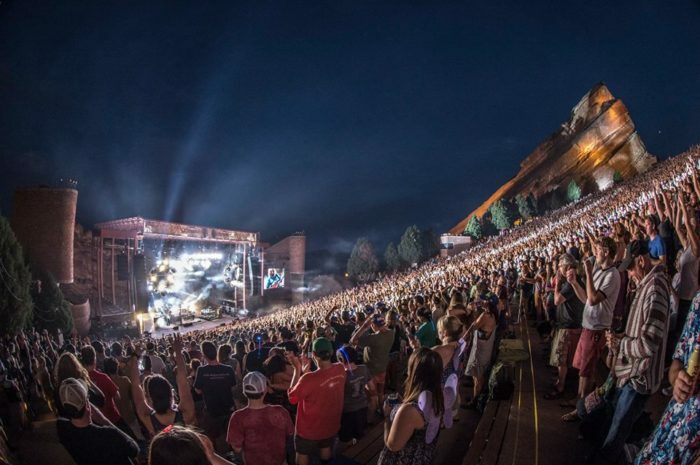 What are some of your favorite memories at Red Rocks? We’d love for you to share them in the comments below. 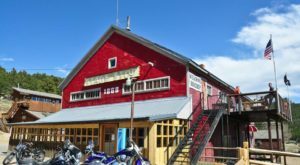 Looking for other things to do while you are in Morrison? 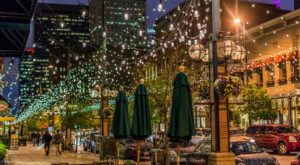 There’s plenty of wonderful options to choose from in This Tiny Town Hiding in Denver’s Shadow That You Simply Must Visit.